Half-hardy annual. 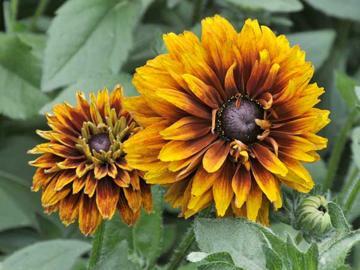 Semi and fully double flowers in shades of orange and red, carried on strong stems from July to October. Moderately fertile, moist, well drained soil in full sun. Beds, borders and containers. Good for cutting. Available from Thompson & Morgan.